In 2015, when Microsoft unveiled the very first public iteration of the HoloLens, product managers demonstrated the augmented reality headset by asking users to re-wire an actual light switch, live, guided by a remote professional. Three years later, Microsoft has finally commercialized that demo with a HoloLens-enabled version of Microsoft Dynamics. Microsoft is commercializing two Dynamics apps with HoloLens: Dynamics 365 Remote Assist, which allows a remote viewer to assist a front-line worker, and Dynamics 365 Layout, which uses the HoloLens spatial-mapping abilities to help lay out a retail space or factory floor. Remote Assist is what Microsoft originally wowed journalists with, and here’s how it works: Imagine building a PC, wearing a HoloLens, but you forgot to insert the memory with the proper spacing, or some other error. HoloLens Remote Assist would allow a remote support tech to see what you’re seeing via your HoloLens, with the ability to highlight what you should be doing. In addition, the remote assistant could use Skype to tell you to tighten the proper bolts, for example, or not to mix CPU pastes. 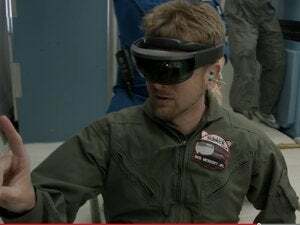 What this means: Chances are that you’ll never use the HoloLens in such a way, unless you’re a field tech for a company like Chevron, which has purchased 100 HoloLens headsets for field technicians. What this means, though, is that Microsoft has finally found an immediate, easily understandable, practical use for the HoloLens—which, honestly, has languished somewhat out of the public eye. That’s the best news for HoloLens in years. 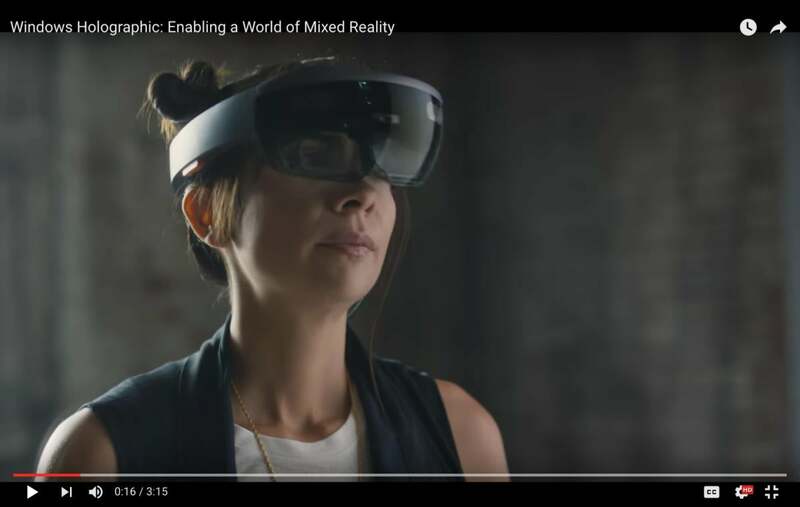 What you might see using Microsoft Dynamics 365 and the Microsoft HoloLens. While field techs might have on-the-job experience, a more experienced worker might be back at headquarters many miles away. By using HoloLens with Dynamics 365 Remote Assist, an escalated support call can be solved using augmented reality to tell the field technician exactly what to do, rather than go through the time-consuming exercise of describing the issue, said Lorraine Bardeen, the general manager of Microsoft’s Mixed Reality at Work. There are some hitches, Bardeen explained in an interview. The HoloLens requires Wi-Fi, so a direct LTE connection won’t work. (Microsoft has tuned the Remote Assist app to minimize bandwidth, however, including dialing down the resolution of the Skype video.) But, she said, some customers are deploying HoloLens as essentially part of a support contract: If there’s a problem in the field, the customer can wear the HoloLens and the remote engineer can guide them through the solution. Dynamics 365 Layout, by contrast, uses the HoloLens to “scan” the physical area around you. For a game like RoboRaid, the HoloLens “knows” where the walls and furniture around you are, and can summon robotic enemies to fire bolts of energy at you. Layout works somewhat more prosaically: Microsoft customers will create 3D models of machinery, desks, and other objects, then use Layout to place them on a factory floor, office, or retail space. The idea is to be able to use them to organize a physical workflow or map a customer experience in virtual space. Again, there are some limitations: Microsoft’s HoloLens maps only a small area at a time, so customers may have to go from “cell” to “cell” of a given space, Bardeen said. But they can then stitch those together, and each cell will remain in the Microsoft cloud, ready to be edited or adjusted in the future.